Your Life Transformation, for the lasting change you deserve. Intuitive SENSUAL Processing for Women wanting joy. As a women’s mysteries teacher, mentor and coach, I guide women to awaken their Goddess Power in a sensual, magical and dynamic way. We are in a constant state of renewal and rebirth. Create the life you deserve and reconnect to the collective inner grace to fulfill your human potential. Let’s Spiral together and activate your Original Goddess Mode. This ain’t a factory setting. Claim your joy by getting in touch with your devotional divine nature. When you shine your true light, by remembering your feminine essence, you tap into the Creative Primal Force. "I am the dream of the great mothers before me. I am made whole in her Divine Womb. I give birth to Love. I have laid down and split myself open for my lovers, career, dreams or my children. It is now time to piece myself together again, offering myself as a living altar, for the liberation of all beings. "Are you out of sync or out of instinct?” In these high conflict times, you may feel drained, like you are in survival mode, having lost the discipline of self awareness and focus. Who are you to focus on your soulful self? Ask yourself: WHO ARE YOU NOT TO? We may compare our lives to other women as we complain, compete, and put ourselves down, reaching outside of our selves for completion and find our souls in a state of depletion. 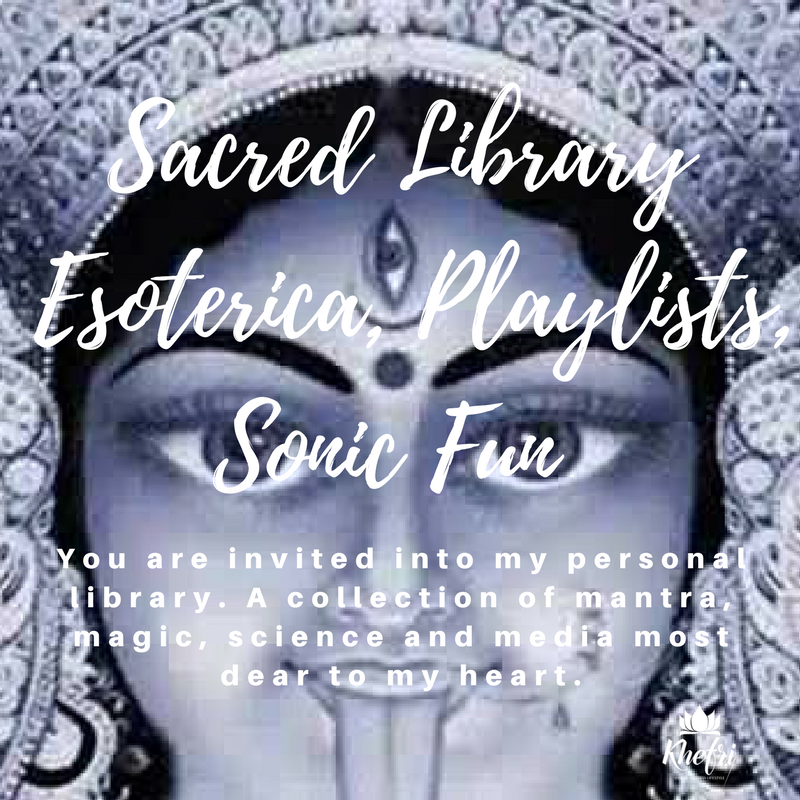 I invite you to cultivate your Subtle Design and nourish your sacred center through spiritual practices that help you use your precious time wisely and create a radiant soul. To relax into your divine nature by focusing on your EVOLUTIONARY SELF. These online practices will tune us into the subtle powers that we possess as women. We are all flowing, creative, magnetic, nurturing, and prayerful. Our presence alone can heal or destroy. It is time to reconfigure our essence to our divine set point of the Infinite Cosmic Mother. This is your call to the Sacred Sanctum. IGNITE YOUR INNER HIGH PRIESTESS. cultivate the awareness of your subtle faculties. You will work directly with khefri for 4 months. This is an intimate and confidential program. Generation of Attraction through Divine Feminine Mysticism. Clarity of Desires and Magnification with Magnetism. Manifest more of what you desire: business, personal, spiritual. Intimately Share, Breathe, Journal, Envision, Become. Natural Rituals, Herbal Support, Deep Relaxation, Binaural Sounds. Please note this program is not a substitute for medical advice or treatment. Please agree to terms and conditions of site (click here). "I was experiencing feelings of grief and sadness around the birth of my first child when I decided to reach out to Khefri. The session with her helped me explore these feelings and identify some sensitivities that were triggered by the vulnerable experience of childbirth. She invited me into a beautiful space, complete with crystals, stones, and a beautiful place to sit during the session. Khefri embodies the feeling of a goddess and her peaceful, nurturing, and grounded energy created a safe environment in which felt comfortable sharing, delving into the feelings I was having, and identifying some strategies (with the help of a goddess card reading) for moving forward. I left the session feeling lighter and stronger, and I look forward to our continued work together." - Dalia S.